One thing I’ve learned from running is that the human body is capable of remarkable adaptation from repeated stress. While an IPA tasting of this hop heavy beer style normally results in my tongue sticking to the roof of my mouth and my lips left paralyzed in a permanent pucker, it looks like all those California hop monsters I’ve withstood over the years have conditioned my taste buds so that I can actually taste the subtle flavor components of beers that once upon a time tasted like chewing on an old bicycle tire. My usual “brilliant” comments on an IPA typically consist of “this tastes pretty bitter” or “it’s rather hoppy” but once you begin to taste them in series, even I could start tasting the differences. We started out with Meantime IPA (“fruity and citrus like, biscuity malt”) progressing to Deschutes Hop Henge (“sweet, piney and grapefruity”), Ballast Point Sculpin (“light body, strong floral bitterness”), and then Duvel Triple Hop (“aromatic, coriander flavors with grassy and herbal hops”) before my taste buds gave out after about the sixth beer, and all I could say “Yeah, that’s bitter all right”. Linda, on the other hand, had no problem getting through the whole flight. I suppose if you wanted to make a case that the South Bay is a beer wasteland, Exhibit A would be that arguably, the best South Bay Beer Bar is called Wine Affairs. 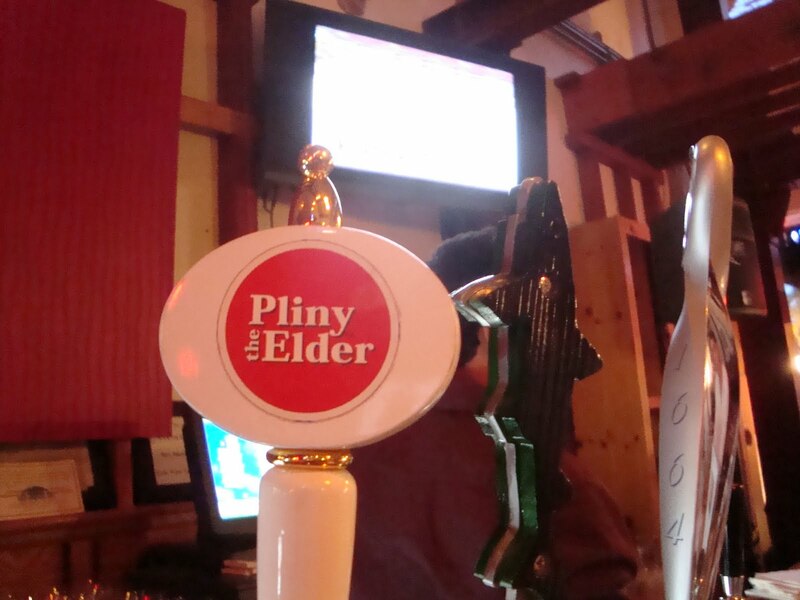 But Wine Affairs is the first bar to find a way to bring the Russian River’s rare and highly coveted Pliny the Elder on tap to the South Bay. And trust me, it took a lot of tenacity and effort by Wine Affairs to make this happen. So the first night they had Pliny on tap, I rewarded Wine Affairs’s investment of their hard earned money by spending some of my hard earned money by ordering a couple. It’s a dirty job, but someone has to do it. 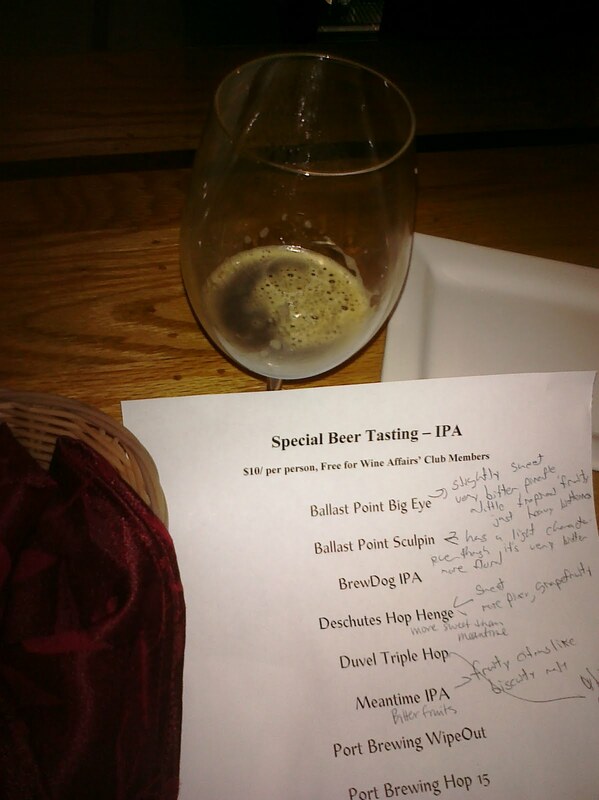 And the good news is that the Pliny was pouring fast and furious the first night. Maybe the South Bay isn’t such a craft beer wasteland after all.